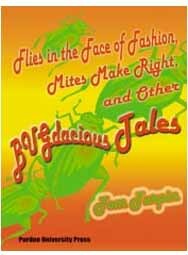 If you want to get downright buggy, pick up this wonderful collection of insect talesfrom the "Bug Bowl" guru, Tom Turpin. After you're through, you'll know more about the six-legged kingdom and its occupants than any bookworm that you run across. How does insect suturing work? Which insect did the ancient Egyptians worship as a god? What did Ogden Nash have to say about termites? Which insect produces "Turkey Red" dye? What bug has survived for 300 million years? How does a horse fly manage to fly without its head? Each tale is easily accessible, provides fun and scientific facts, and is self-contained. Juveniles and adults alike will be fascinated with the world of Turpin's bugs. The nicely illustrated collection won't give you ants in your pants, but just might put a flea in your ear. 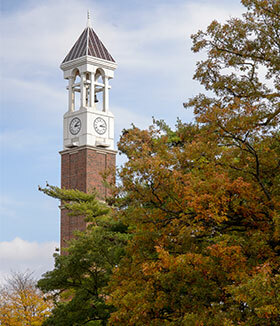 Dr. Tom Turpin is the creator of Purdue Universitys "Bug Bowl", a celebration of insect antics, annually drawing over 12,000 visitors, who come to munch on bug stir-fry, to take part in cricket-spitting contests, and to cheer on tractor-pulling creepy crawlers at Roach Hill Downs. Turpin has been featured in Time and People magazines and has appeared on "Good Morning America", the "Guinness World Record Show" and the "Prairie Home Companion." He is a professor of entomology in Purdue's College of Agriculture.